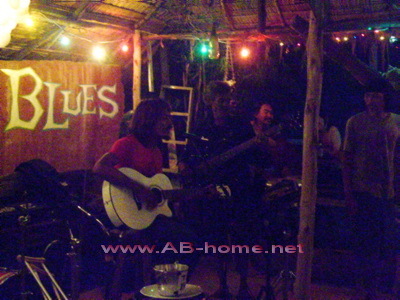 I’m sure Stone Free Bar, Lonely Beach, Koh Chang will find them – good luck! I was there early March and just loved it – wish I’d bought there CD but doubt they do mail order! Anyway the first time I ‘landed’ there I had a horrendous headache early one morning (not alcohol induced)! and the owner gave me a really magical impromptu head massage – they are really lovely people I’ll never forget them. I suppose it would spoil them if they were discovered but they really do deserve fame and fortune! Good luck with your search for true love!